Nicolas Baran's Boston River qualified for the Copa Sudamericana by coming sixth in the 2016 Campeonato Uruguayo. The 2017 version of the Copa Sudamericana, the continent's Europa League equivalent, kicks off on Tuesday when one of the night's opening games pits Boston River of Uruguay against Comerciantes Unidos of Peru. These are humble clubs both making their debuts in international club competitions. Boston River are a tiny side from Montevideo, right in the tradition of the city's neighbourhood clubs. Comerciantes Unidos are a newer outfit from the north of Peru. Part of the justification for the existence of the Sudamericana is precisely this type of match up, giving experience and financial rewards to clubs lower down the normal food chain. But there is a problem. The first leg in Montevideo takes place on Tuesday, Feb. 28. The return game, at the other end of the continent in Cutervo will not happen until Thursday, June 1. With more than three complete months between the two matches, it will be very hard for the competition to retain interest. This unorthodox organisation is a consequence of CONMEBOL's panicky restructuring of South America's international club competitions. 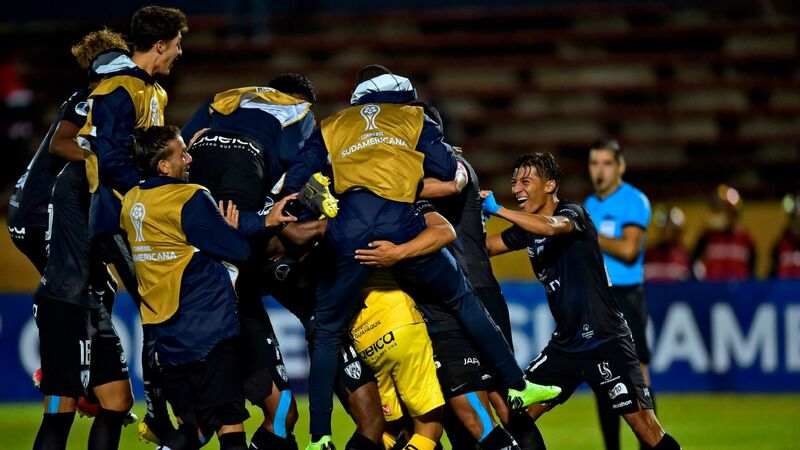 Traditionally the Copa Libertadores, the main event, has been squeezed into one semester, with the second string competition taking place afterwards. Now both of them will be played throughout the year -- as happens, of course, with the Champions and Europa Leagues. But this is not Europe, which has a wealthier market and a more consolidated culture of simultaneous competitions. Defining the separation of the two tournaments would clearly present a challenge. A couple of CONMEBOL's solutions would seem to be problematic. The first is the decision that has led to such a huge gap between those Boston River-Comerciantes Unidos fixtures. On the other side of the Atlantic, the separation is done on days -- Tuesdays and Wednesdays belong to the Champions League, with the Europa League taking Thursday. For the group stages, South America has chosen to separate by weeks. The Sudamericana has just four weeks between now and June 1st -- this week, one each in April and May and the end of May/start of June. All the other weeks, with the exception of the pause for World Cup qualifiers, belong to the Libertadores. So, already something of an afterthought, the Sulamericana has been given a calendar which makes it very hard to pick up early momentum. Things improve in the second phase of the competition. The Sudamericana has four weeks to itself between the end of June and the start of August. And the momentum picks up during the third phase, staged between late August and late September. Then, in the final stretch, there is a strange inversion. It would be expected that the year might build towards a grand finale, with the last game of the club season defining the champion of the continent. That is how, logically enough, things work in Europe. But such an arrangement provides a huge headache for South America, which needs to define its representative in time for the Club World Cup. So the Libertadores comes to a close with a two-legged final at the end of November. These matches will take place on successive Wednesdays. 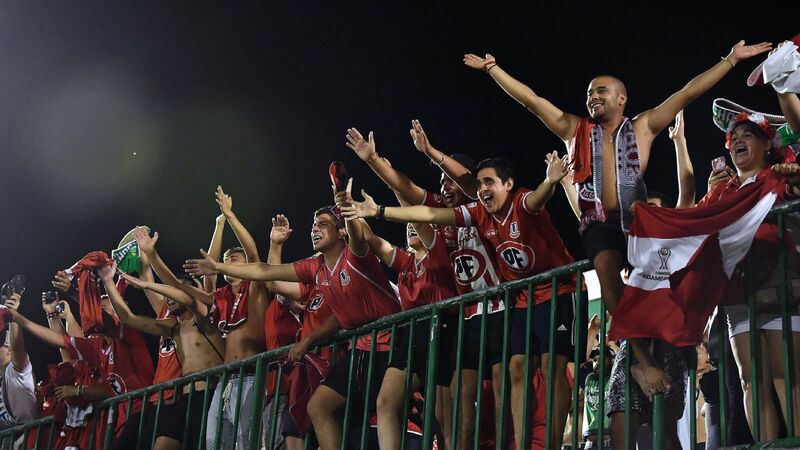 Either side of them, on the Tuesday and Thursday, will be the semifinals of the Sudamericana. And then, once the Libertadores is out of the way, the year ends with the Sudamericana final on the next two Wednesdays at the start of December. From being the half-forgotten poor relation, the Sudamericana suddenly turns into the prodigal son. It brings the curtain down on the year, the football equivalent of Freddie and The Dreamers headlining a show featuring The Beatles.